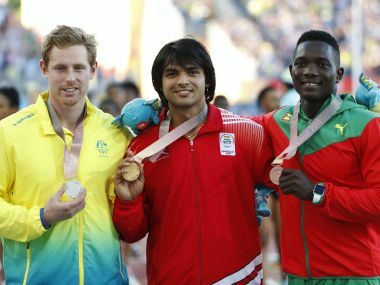 Mumbai: Javelin thrower Neeraj Chopra knows what an Olympic track-and-field medal would be worth for Indian athletics and the gold he landed at the recent Commonwealth Games has given him confidence ahead of the Tokyo Games in two years’ time. While the International Olympic Committee credits India with Norman Pritchard’s hurdles silver medals in 1900, before it gained independence from Britain, the world’s second most populous nation considers itself never to have won an athletics medal at an Olympics. There was rare track-and-field success for India this month at the Carrara Stadium at Gold Coast when the 20-year-old Chopra won the javelin at the Commonwealth Games. The former world junior champion became only the third man to win gold for India in Commonwealth Games athletics after sprinter Milkha Singh in 1958 and discus thrower Vikas Gowda in 2014. “It was my first Commonwealth Games and I started thinking about how hard I had worked to get to that moment,” Chopra told Reuters in an interview, reminiscing the moment when his yellow metal was confirmed. Track and field success at the Olympics has largely eluded India and the country’s two most famous track stars - Milkha Singh and PT Usha - missed podium places by the narrowest of margins. Singh missed a bronze in the 400m at the 1960 Rome Olympics after a photo finish left him fourth, while Usha suffered the same heartbreak 24 years later when she was placed fourth after a photo finish in the 400m hurdles final in Los Angeles. 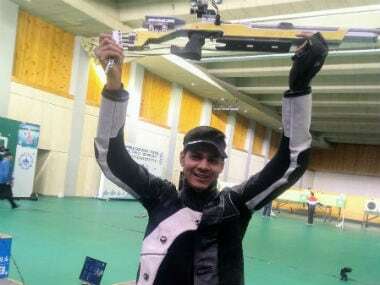 Chopra, who put in his season’s best effort of 86.47 metres in the final at Gold Coast, said his triumph will motivate the junior athletes in India and make them believe “Yes, we can”. “We have athletics medal in every event... be it Asian Games, Commonwealth Games, world championships,” said Chopra, who is part of diversified conglomerate JSW Group’s Sports Excellence Programme. “So the main aim is to win an Olympic medal. I can’t even imagine what that would mean to track-and-field in the country. People keep telling me that the person who wins an Olympic medal will probably become the God of athletics. Chopra hails from the Northern Indian state of Haryana, known more for producing wrestlers and kabaddi players. He could not remember why he took up a javelin instead of picking up either of the body-contact sport. He is aware of the steep competition that awaits him if he is to win a medal in Tokyo in 2020. He will participate in the Doha Diamond League and a few others before the Asian Games later in the year. 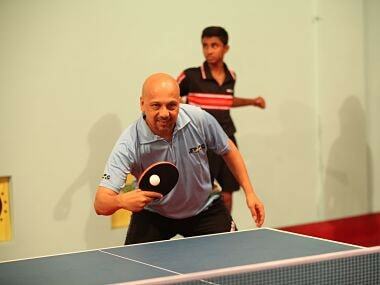 “Focus and training is going to be most important. I have to give up everything and just concentrate on my training,” he said. Chopra is satisfied with the support he is getting currently but said he faced a lot of hardships at the start of his career. “I am hoping I can train outside the country. It’s going to get too hot here, so it would be good if I can go somewhere in Europe where the weather would help my training,” he said. “The most difficult part of the journey has been at the start. From reaching the ground, to my diet, everything was difficult. After that I got used to everything.